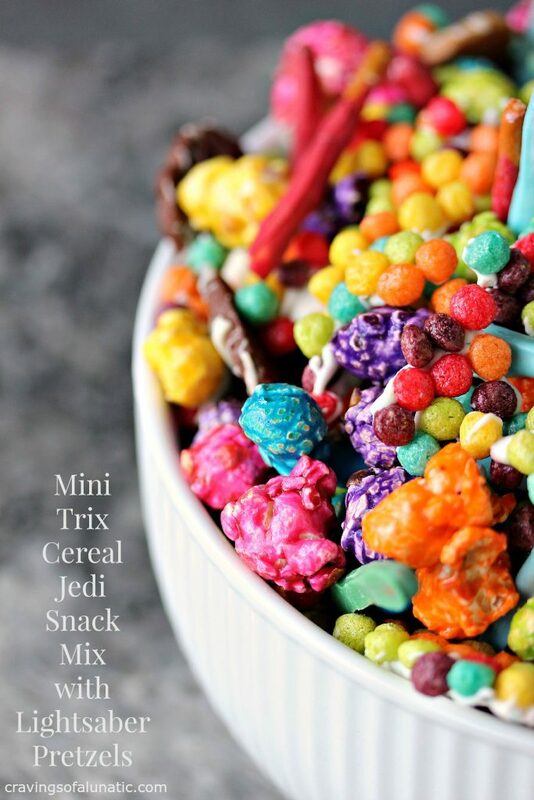 Snacking should be fun and easy. 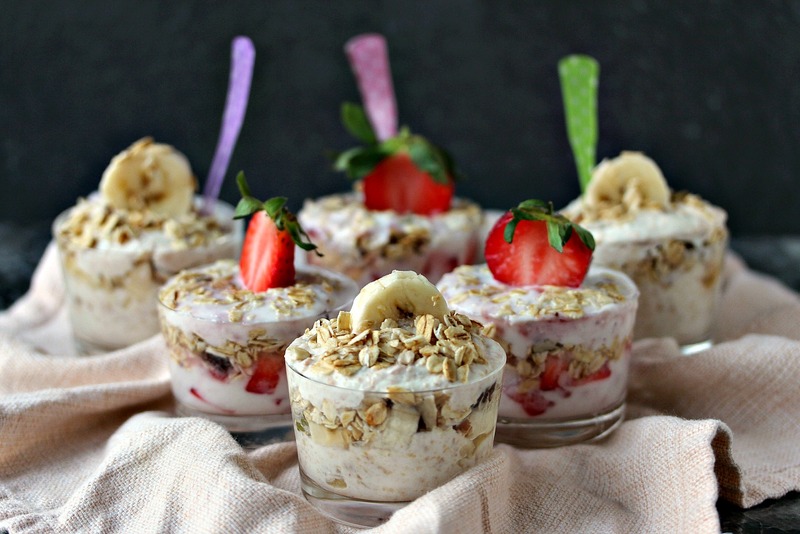 These yogurt parfaits are so simple to personalize to your own taste. 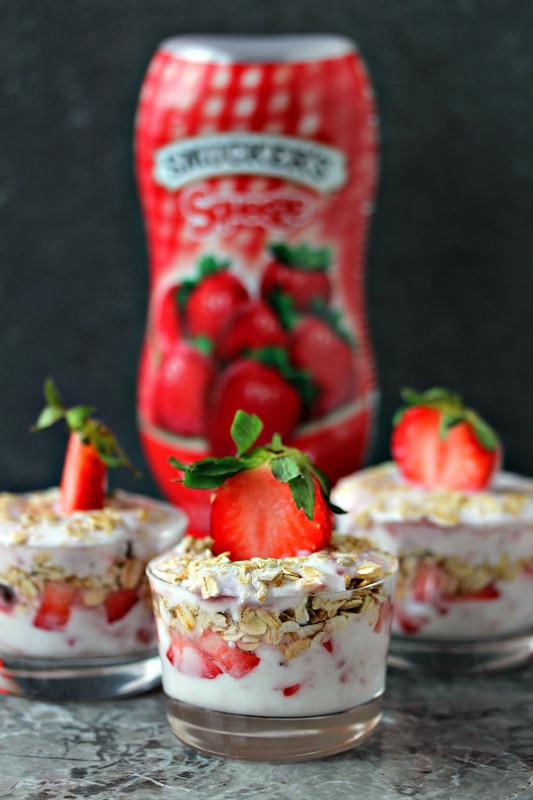 You can make Strawberry Yogurt Parfaits layered with fresh strawberries. 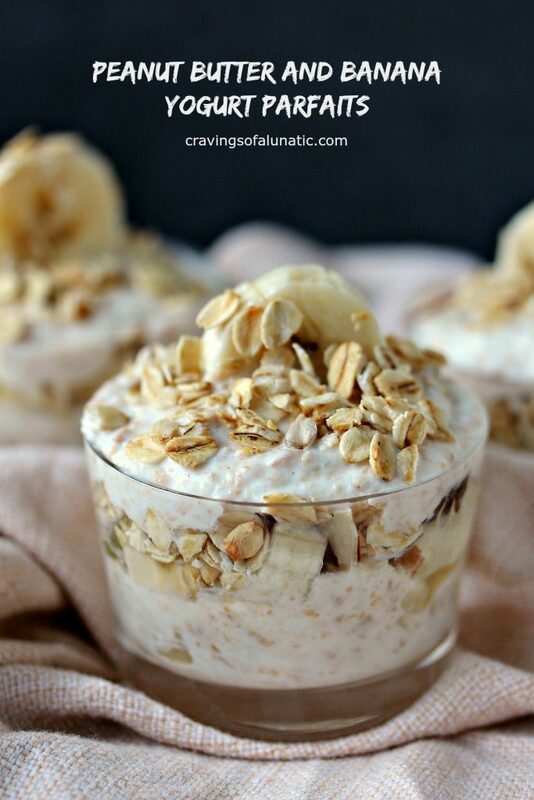 Or make Peanut Butter Parfaits layered with bananas. This is a sponsored post for The J.M. Smucker Company. Recipe development is a huge part of my job, and how I support my family. It’s also my passion, pure and simple. Thanks to all the companies, and readers, who help support Cravings of a Lunatic. With March Break upon us a lot of families are looking for snacks and activities to keep the young hooligans busy and happy. I partnered with The J.M. 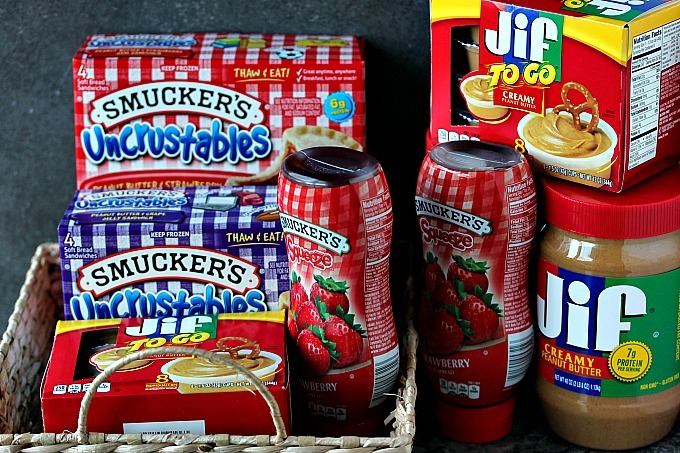 Smucker Company and Walmart to bring you fun ideas for March Break. Otherwise known as Snackation. I know right, isn’t that adorable. You should hashtag that one all over social media. I’ve been a mom to 2 hooligans for quite some time now. Longer than I care to admit, quite frankly. I’m getting old. That has nothing to do with this post though, so forget I said anything. Let’s move past that part of the conversation. Okay, we’re moving on. Let’s talk about how to keep your kiddos happy while they’re off school. First of all I highly recommend a family field trip to Walmart to stock up on supplies. You’re going to need snacks for snackation. So pile in your car, head off to your local Walmart and grab a cart. Two if you’re feeling ambitious. Not only can you stock up on snacks, but you can pick up movies for family movie night, or board games for family game night. Grab some family friendly movies while you’re there. We’re partial to The Fox and the Hound, The Aristocats, and Star Wars. You could also pick up some TV Shows on DVD. Some of our favourites are Gilmore Girls, Switched at Birth, and The Fosters. My kids are older so those TV shows wouldn’t be for wee ones. Pick age appropriate DVD’s for your munchkins. Family Game Day is always a riot in our house. We enjoy playing a simple game of cards. Or Monopoly, Rummoli, or Uno. We’ve also played everything from Hungry Hungry Hippos, Scrabble, Boggle, Operation, Clue, Battleship, Sorry, Trouble and Sequence. No game is off limits here. We love playing board games when we all get together. Any time we have Family Movie Night, or Family Game Night, the snacks play the most important role in the evening. Planning out your snacks ahead of time is crucial. You want to make sure your pantry is well stocked for March Break. 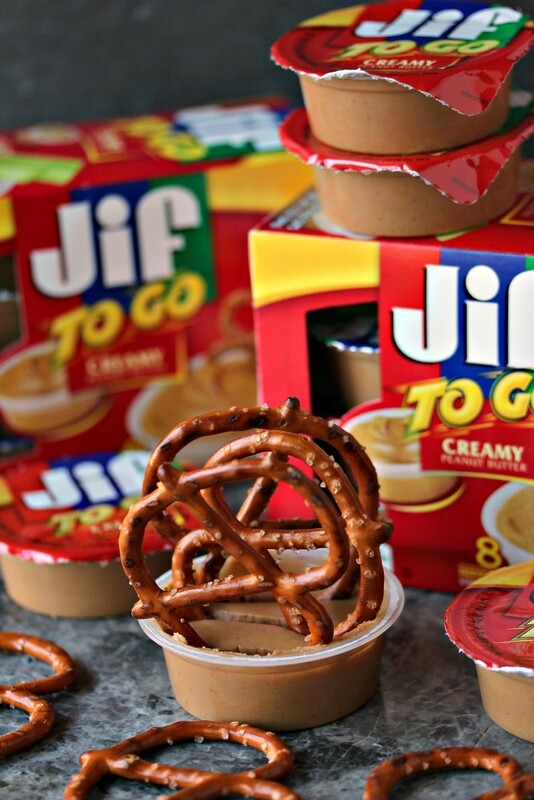 Stock up on things like Jif to Go® Peanut Butter, Jif® Peanut Butter, Smucker’s® Squeeze™, Smucker’s® Uncrustables®, as well as popcorn, cheese, crackers, vegetables, dip, and any other munchies that your family loves. 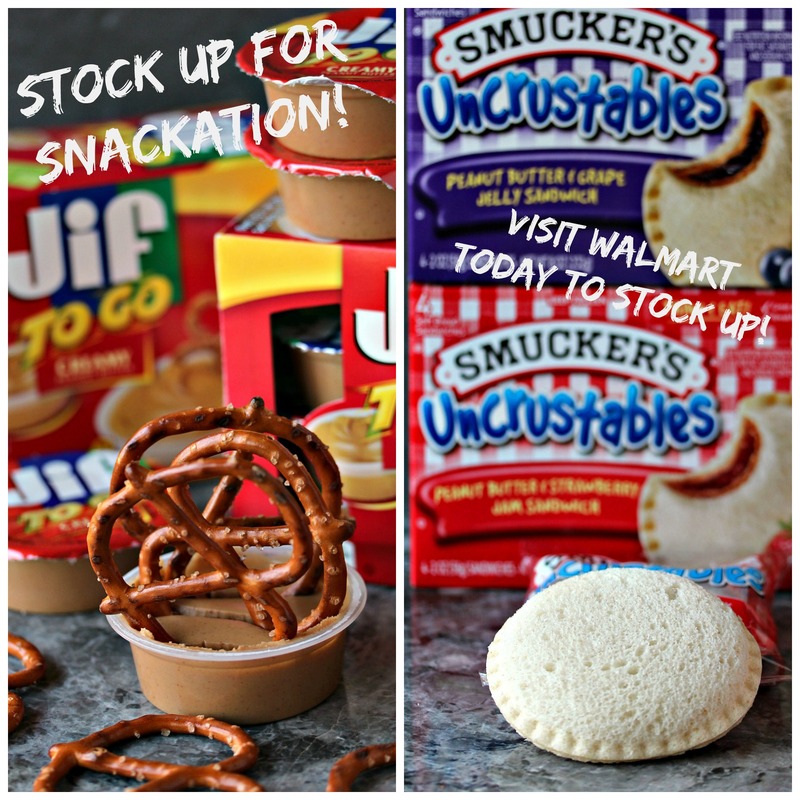 Be sure to stock up on everything you need for Snackation at Walmart before March Break begins! 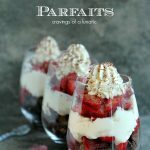 I love parfaits. Anyone who reads my blog regularly knows I enjoy making parfaits as much as possible. There’s something about whipping up layered recipes that makes me extremely happy. 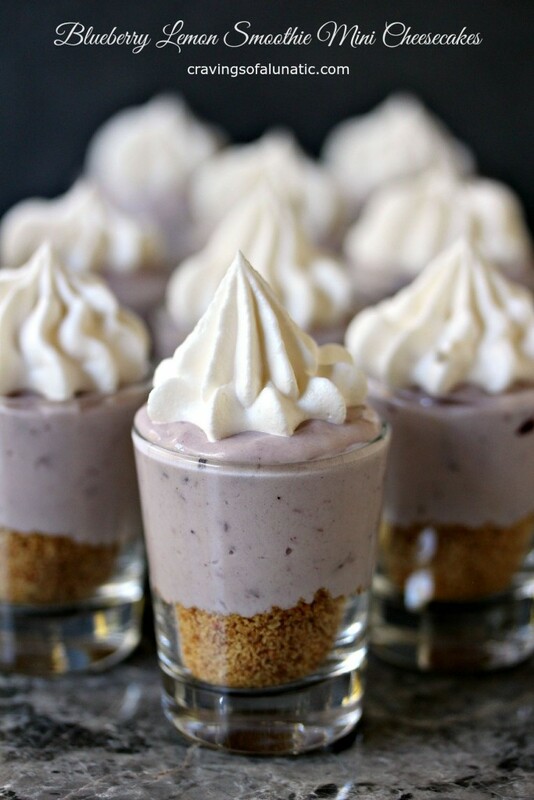 This one is made in miniature form, I use tiny little glass serving dishes for these parfaits. I made two varieties of this healthy snack parfait. The first variety is Strawberry Yogurt Parfaits using Smucker’s® Squeeze™, vanilla yogurt, fresh strawberries, and granola. All available at Walmart for Snackation! 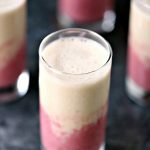 The second variety is Peanut Butter and Banana Yogurt Parfaits. 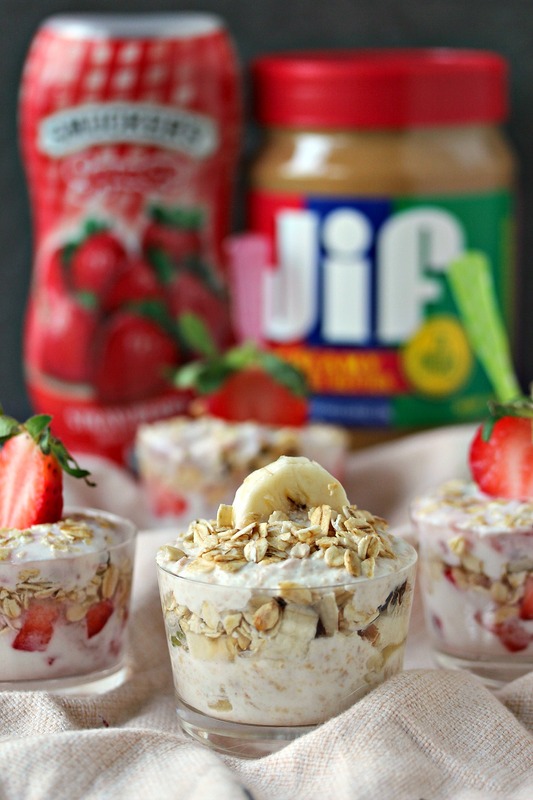 For that variety you can use Jif to Go® Peanut Butter (or Jif® Peanut Butter), yogurt, bananas, and granola. You can get everything you need to make them at Walmart. Pour the vanilla yogurt in a small bowl, squeeze in Smucker’s® Squeeze™ Fruit Spread, then mix until combined. In another small bowl mix the strawberries and sugar. In your serving dishes scoop the strawberry yogurt mixture into the bottom, then add a layer of strawberries, then a layer of granola. Repeat all steps. Garnish with more strawberries. 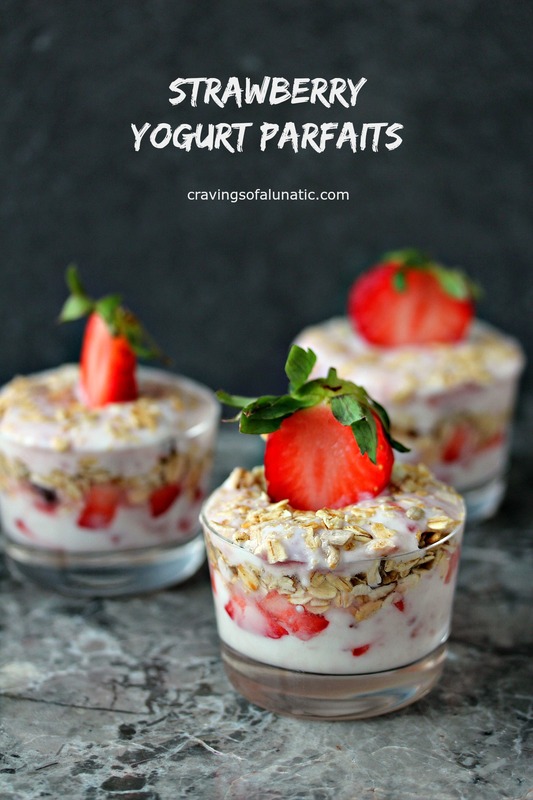 Serve with a big old strawberry yogurt parfait loving smile! Pour the vanilla yogurt in a small bowl. Set aside. In another small bowl scoop the peanut butter in and pop in the microwave for about 10 seconds. Just enough to soften slightly, but don't let it get hot. Add the peanut butter to the yogurt, then mix until combined. Make sure the peanut butter isn't hot or you will get clumps from hot peanut butter meeting cold yogurt. You want the peanut butter softened, but not hot. It's the key to a smooth mixture. In another small bowl mix the bananas and sugar. In your serving dishes scoop the peanut butter yogurt mixture into the bottom, then add a layer of bananas, then a layer of granola. Repeat all steps. Garnish with more bananas. Serve with a big old peanut butter and banana yogurt parfait loving smile! These are perfect for snacking, and they’re also great for breakfast, or dessert. Your choice! 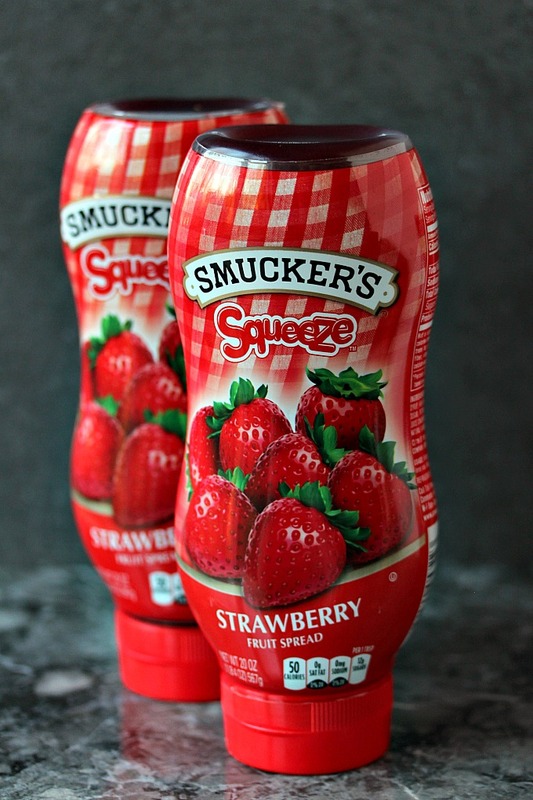 Pick up some Smucker’s® Squeeze™ at Walmart! 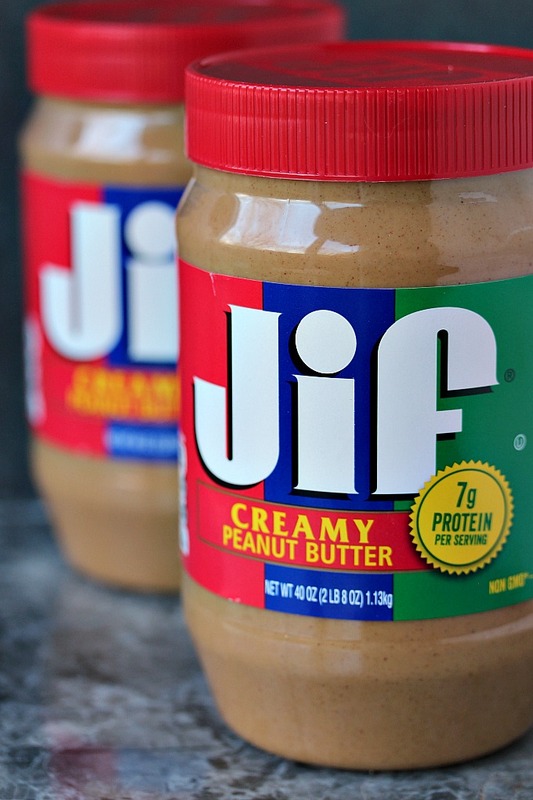 Make sure you grab some Jif Peanut Butter too! We always buy in bulk, especially before March Break! The price point is great so you can afford to stock up for Snackation. Use them to whip up snacks for all your outings, and your relaxation days too! 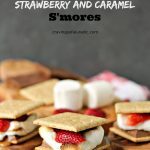 Be sure to check out my recipe index for more snack recipes. You can also peek at the healthy recipes index which has tons of great recipes to keep everyone happy during the break. There’s also lots of fruit recipes, some kid-friendly, as well as some for the ‘rents. Wink wink. 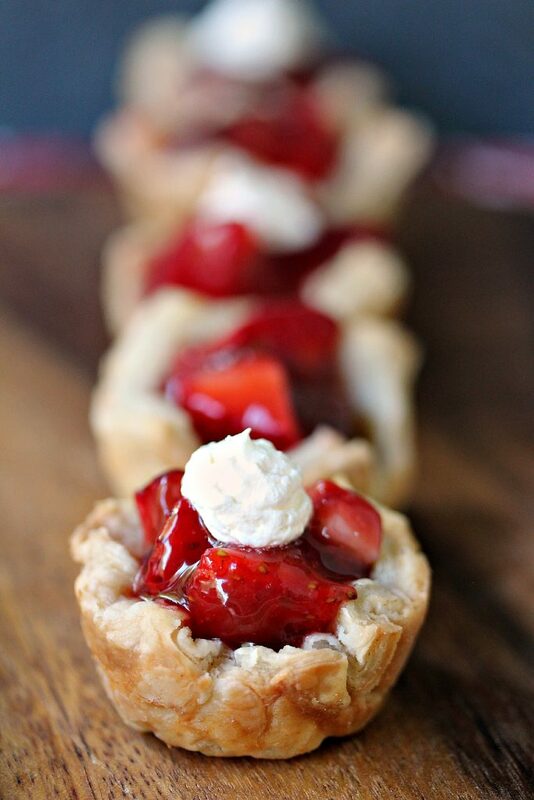 Be sure to follow me on Pinterest to keep up with all my latest recipes. You can also follow me on Instagram. 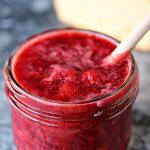 I share lots of recipes there, as well as slice of life photos. I promise there will be kitten photos. Dixon loves posing for photos. Keep stopping by. I have a 12 Days of Giveaways event kicking off any day now. You’re going to love it. They look so good and I know my kids would totally dig them! 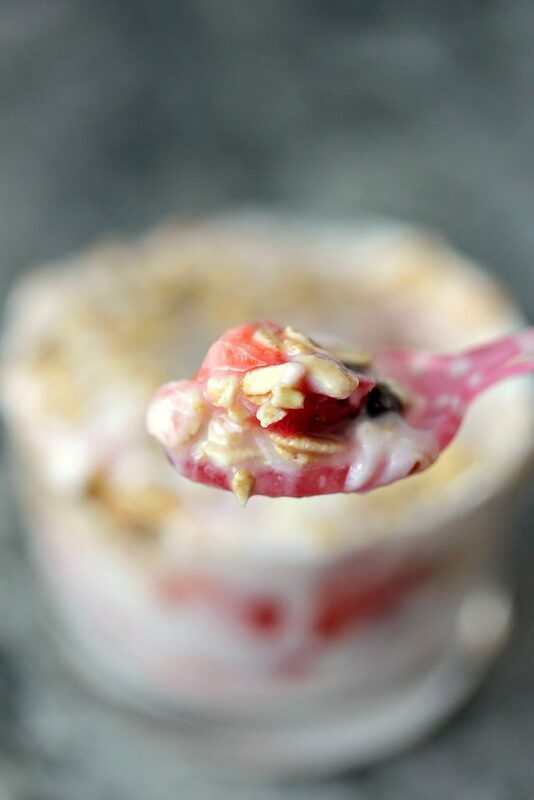 I love the combination of yogurt, jam, fruit and granola. Too bad my version doesn’t look nearly as pretty as yours. Of course, if I layered the ingredients instead of piling them on, it might help. Guess I’m just not patient enough. Anyway, it’s a great breakfast as well as a snack. This looks delicious! I think I’m going to have to try the peanutbutter version! My kids will love it! 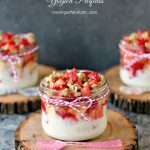 I love both of these parfaits, my kids would gobble them up! Totally making these for them, thanks! We love yogurt parfaits around here. I’ve never thought to use jam in a parfait before. Great idea! these are freaking gorgeous! We have family movie night but will probably move to family GAME night later. . when the kids get older and more competitive 😛 love these!!! These look so yummy and they might even get me to start making myself breakfast in the morning. I do have a question, if I wanted to incorporate peanut butter into the mix, would I mix it with the yogurt? That seems a little weird to me, but I need to know. I need to get my peanut butter on! Hi Freddie. Thanks so much. I know the idea of mixing peanut butter with yogurt seems odd. But it works, the key is not overheating the peanut butter when softening it up. If you mix hot peanut butter with cold yogurt it will get stringy. The recipe explains how to go about it so it stays smooth. You could just swirl peanut butter in as well. That way you don’t have to mix it. Not sure if anyone is selling peanut butter yogurt yet, but I think one company sells a peanut butter and jelly version. Hope all this helps. Let me know if you try it. ps sorry for the delay in response. We’ve had a weird couple of weeks. One of the hooligans has been sick.